I love this picture of the Cow with her twins. Too cute!! 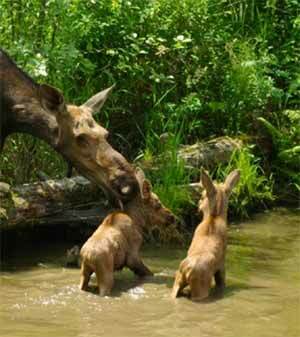 Baby Moose are very cute, don't you think? You can see the motherly instinct showing through. Any guesses as to how many days old these baby moose are?